1. The operator must be trained to be familiar with the structure and performance of the laser die cutter and master operating system knowledge. 2. In the laser die cutting machine processing process, if any abnormality is found, it shall be stopped immediately, and the trouble shall be promptly corrected or reported to the competent personnel. 3. Abide by the general laser die cutter safety operating procedures. Start the laser strictly in accordance with the laser startup procedure. 4. According to the laser die cutter operation regulations to wear labor protection supplies, in the vicinity of the laser beam must wear protective glasses in line with the provisions. 5. To maintain the laser die cutting machine’s laser, bed and surrounding sites clean, orderly, non-oil, plates, waste stacked according to regulations. 6. When the laser die cutting machine is started, the operator must not leave the job or trust the person to leave the tube. 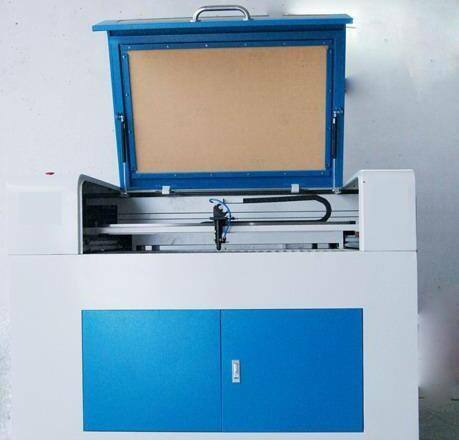 If it is really necessary to leave, the power switch of the laser knife-cutting machine should be cut off. 7. Don't process a material before it can be processed by a laser die cutting machine to avoid the potential danger of the smoke and vapor. 8. Place the fire extinguisher in a position that is within easy reach of the laser die cutting machine. Do not place paper, cloth, or other flammable materials near the unprotected laser beam.